This article contains the walkthrough for Mission 10 Sacrilege in Destiny 2. There's also a boss guide here for those who have difficulty for the 3 wizards. Head into the Lost Oasis and into Terrabase Charon. When you get there, there’s a group of Warbeasts with shield-wielding Cabal Phalanxes. Psions will also appear there. The Warbeasts have heightened mobility which make them increasingly annoying. 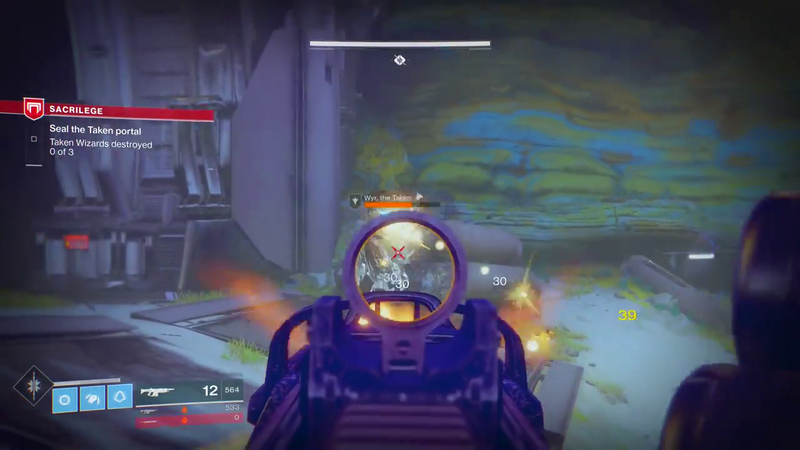 Cabal Phalanxes have shields but have slower movement. The Psions use ranged-attacks but easily blocked using the environment. Head to the ledge on the upper left to deal with more enemies. When you’re done dealing with the enemies, head through the corridor and into the Excavation Site II. However as you’re there, watch out for the Taken traps. You can shoot them down while walking through. Take out the multiple Taken-Psion hybrids with headshots. After that, exit the cavern at ground level to begin moving up the steps of the linking chamber. Once there, move up to the second cavern and hope to the platform above and on your left. There, you’ll have a vantage point where you can eliminate all the Psions below. Continue forward while gunning down a few more enemies. The pathway’s pretty straightforward. All you have to do is look for a glowing blue floor. When you get there, there are some Taken Thralls and a few traps. A personal suggestion is to take out the traps first to have better kiting area but if the player can snipe them off, that’s okay too. After finishing them off, head into the next cavern where you can either fight the enemies there or flee. With that, you can now head to the surface to fight your mini-boss fight for this mission. Once outside, there are some Psions to take out. After taking them out, look to the left and you’ll find the first Taken Wizard. Use an Energy Weapon to deplete the shields. After that, immediately switch to a more powerful weapon to blast him down. But if your Energy Weapon is the strongest you have then, by all means fire away. Focus down the wizard as he can replenish his shield if you break aggro. The environment is your friend; use it as a means of cover. Turn right to find a Wizard floating among the rocks. You can snipe it by leaping up the ledges to take it out from afar. Again, same process: energy weapon and then snipe the head. When you’re done with that, you’ll need the last wizard. First, don’t jump all the way down. Stay on the ledge and creep towards the last wizard. Always have the high ground before taking him out with a single sniper round. After finishing off the wizards, the whole area is suddenly encased with a dark dome. 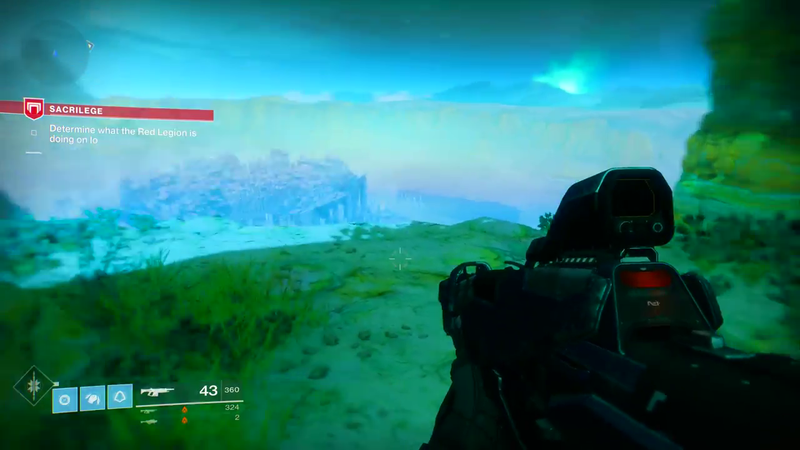 Head back to your original platform to take out the spawning Psions. Irausk, or commonly known as the Vortex Mind, appears as the final boss in Mission 10 Sacrilege. He does have a few quirks such as his homing attack which can really take a chunk out of your healthpool if you don’t kite right. However, the main problem is more that he has a lot of additional minions supporting him. Your best bet is to take those supporting minions out before they do anything detrimental.